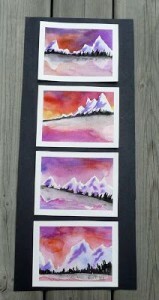 Landscapes are so beautiful to look at, which is why it is so great to teach your students how to recreate them. 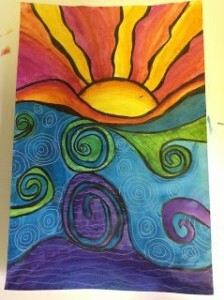 There are so many artistic principles that can be taught through a landscape unit. For example, you can create lessons around line, foreground & background, artistic messages, color representations and symmetry (to name a few). 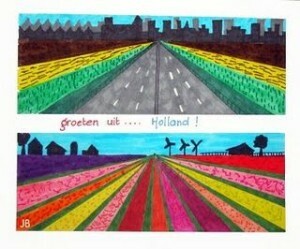 Landscape art also ties in really nicely with a Social Studies unit on Urban & Rural communities. 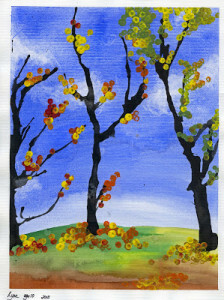 Here are ways to teach landscape art. 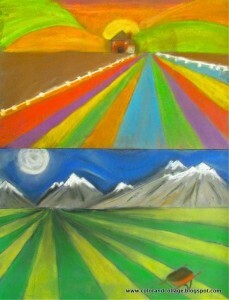 In this form of landscape art, the sky is the main feature. 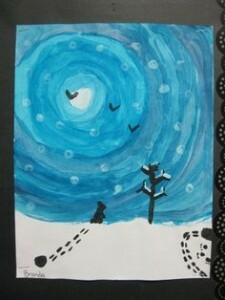 So naturally, students plan out their landscape by first painting/coloring the sky. I like the swirl approach, it creates a mystic feel. It also gives you a chance to discuss mixing warm colors. Also, it gives the audience a nice perspective. You could ask your students to recreate what an urban/rural dweller would see if they looked up towards a night’s sky. 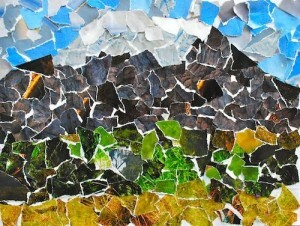 This works great with rural landscape artwork. The basis originates from the horizon line; everything else is built around it. This strategy also makes for a good discussion about background and foreground. Have your students divide their sheet/canvas into four equal sections and then create a landscape with accurate measurements and some symmetry. This could work for either rural or city landscapes. I love this one. 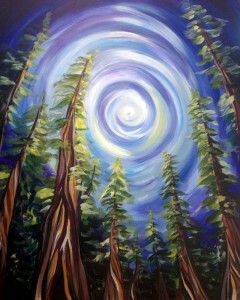 It’s so Van Gogh-ish. This strategy can create a great discussion about lines. 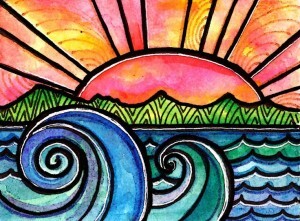 Have your students draw a series of squiggly and wavy lines starting with the horizon, and then fill in the colors appropriately. Since there are so many opportunities for color here, it would be great to introduce the concept of mood and tone in art. This is such a different approach to landscapes, but it comes out fantastically. 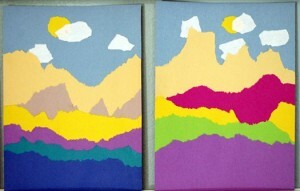 You can create a discussion about texture out of this landscape art. 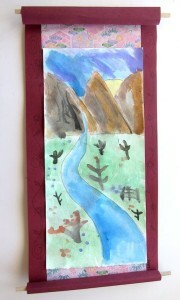 In this method, students begin their landscape by mapping out where a stream will lead. The strategy is to to start the steam off wide, and then allow it to get more narrow as it proceeds in the illustration/painting. 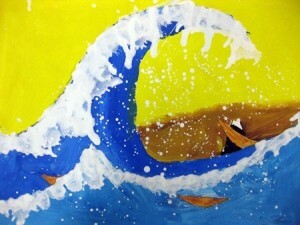 I also really like the waves! In this landscape, the audience member is seeing the landscape from the view of the painter. 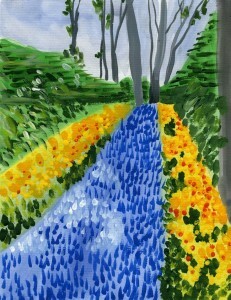 Similar to the stream, you start off with a wide road/field, and allow it to get narrow as it goes off into the distance. I love the colors in some of these. This is similar to starting with the horizon, but this time you layer many lines to create the illusion of a valley or hilly area. I love the dimensions this brings out. 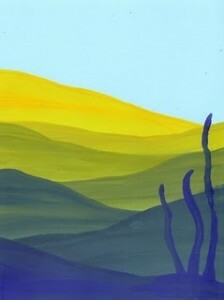 It’s a great way to talk about softening color palettes or shades, as well as background/foreground. 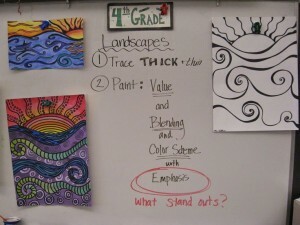 Which is your favorite way to teach landscape art?